"GSA went above and beyond all expectations!" "The value of your game show far exceeded the price." "Your show was absolutely fantastic!" "GSA really delivered the WOW factor!" "It was more fun than The Price Is Right!" "Game Show America is absolutely the best!" "Game Show America has earned a long-term customer." "Game Show America exceeded every expectation!" "GSA does what it takes to make our events successful." "Outstanding and totally network caliber!" "WOW! GSA brings tons of energy & our guests love it!" "It's always fun working with Game Show America!" "Thank you so much for a GREAT show! 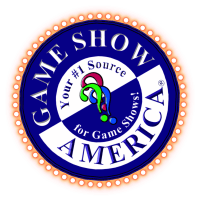 Looking forward to our next event with GSA"
"Working with Game Show America was seamless from beginning to end." "Best turnout we've ever had for a game show!" "GSA sets the bar high. Thank you for a great event!" "Our guests can't wait for you to come back!" "GSA is an amazing part of our annual event!" Find out why all of these companies you see here and so many more have selected Game Show America for their events!